Rediff.com » Getahead » Will you quit your job to follow your passion? We are living in times when we have tons of careers to choose from. Unlike, let's say, 20-25 years ago, we can now choose a line of education depending on our likes and dislikes. 'Passion' is the buzzword of our times and everyone keeps talking about fire in the belly. But what is this fire in the belly, what is passion? Is it worth giving up a comfortable job? Will it put food on your table? Or will it be the reason behind your downfall? 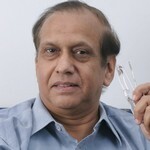 In an interview with Rediff.com, Virender Kapoor former director of Symbiosis Institute of Management and the author of Passion Quotient talks about the importance of passion. It is something you love to do; it could be anything -- speaking, writing, flying, acting, healing, travelling, serving others or even earning money. And it serves as an inner compass by letting one be in harmony in oneself. Morale is a state of mind; passion is the state of heart. Passion is your inner calling. It is a source of tremendous energy. Painters paint not to make money but because they primarily love you paint. Authors write not to make money but because they primarily love to write. It gives you sense of excitement and it gives you a high like nothing else can. Human civilisation has come a long way from the times of survival of the fittest. Back in the day, where wars were won on brute force, when modern technology was still a tiny speck in the distant future, what mattered was brawn. You were sought after if you were strong. Those were the days of Brawn Quotient. The latter half of the 19th century saw what we now know as the Second Industrial Revolution. Discoveries and inventions were being made in all spheres of life and the human civilisation was racing ahead. Testing and logical reasoning soon became the mainstay of society. Intelligence, rather than brawn, became important. As we evolved to a service-based economy, the individual became the focus of attention. We began to recognise that while the gun may be important, we also began to understand the importance of the man behind the gun. Relationship building, connecting with people etc became important. Emotional quotient became the thing to talk about. We have now moved from a service-based economy to an age of opportunity and entrepreneurs. And in this age of entrepreneurs, what matters the most is passion. 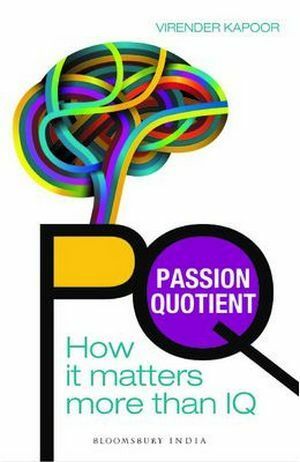 So what is your passion quotient? How do you measure it? A cricketer will be attracted to the pitch. If it beckons you, it is passion. Period. It doesn't matter what problems are thrown your way, you will find satisfaction in that activity. Once someone teaches you something, you take to it like fish to water. Saroj Khan once mentioned that Madhuri Dixit was the easiest person to train. Why was that so? Because Madhuri was evidently passionate about dancing! If you are really passionate about something it doesn't take a lot of efforts for you to accomplish the task. Look at Zubin Mehta conducting an orchestra or Sachin Tendulkar playing cricket or Mary Kom boxing, they make it look effortless. There are several composers, cricketers and boxers who haven't reached the heights of Mehta, Tendulkar and Kom. Does it mean they were less passionate than the three stars? Having passion and having potential go hand in hand. If you are passionate about something, you will naturally have the potential to do it. But know that isn't enough. If it is unable to give your life a purpose, if you are unable to persevere like these achievers did, all your passion and potential comes to nought. Know that without perseverance none of anything matters. These are the four 'p's of success. If you are considering a shift in your career, don't just jump into it! If you want to be a photographer, try selling a few prints. If you want to be an author, try getting your work published. Work hard; strive; put everything you have in it but don't give up your job until you know you can make it. Don't jump simply because you think you are passionate about it. If you need to survive in this world, you ought to acquire good qualifications. Because if your passion doesn't help you earn a square meal, you always have a decent job to go back to. There is no shame in having a safety net. In times of EMIs and home loans, you cannot throw caution to the wind. But that shouldn't mean you give up your dream. Don't let the flame die; keep chipping at what you are passionate about every day for some time. It will not only keep you sane but also help you be in touch with what you love. Know that you can discover your passion when you're 20 or even 60. Keep looking for it; you never know when you will find it. There is a thin line between being passionate and being obsessive. If you get obsessed, you will lose your sense of balance. Learn to walk that line; learn to strike a balance. Most importantly, learn to disconnect. Virender Kapoor, the former director of Pune's Symbiosis Institute of Management and the founder of Management Institute for Leadership and Excellence and the author of Leadership, the Gandhi way, A Wonderful Boss: Great People to Work With besides Passion Quotient. The Aamir Khan-starrer 3 Idiots encouraged its viewers to follow their passion. Image has been used here for representational purposes only.